*Igneel v/s Acnologia : Natsu v/s Mard Guille*. dedicated to all fairy tail fans. 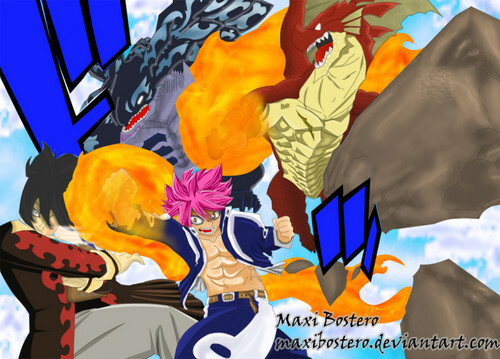 HD Wallpaper and background images in the fairy tail club tagged: photo fairy tail anime dragon slayer natsu dragneel natsu dragneel dark guild tartarus demon king of hades marde guille demon king dragon acnologia igneel.